Whether you’re a cottager, a camper, or enjoying the outdoors close to home, be prepared with these natural DIY first aid tips for cuts and scrapes, bee and wasp stings, insect bites and more! The conventional wisdom used to be that cuts should be left open to heal, and kept dry. We now know from numerous studies that this isn’t the case. Covering wounds with gauze or a bandage, and applying a moist dressing, helps them to heal more quickly. It also reduces the risk of leaving a scar. So, how to dress a minor cut or scrape? Aloe vera has been used for thousands of years. It contains compounds that help prevent infection and reduce inflammation. Aloe also speeds healing by improving blood flow to the affected area. Honey has also been used for thousands of years, and has proven healing properties for major wounds, as well as burns. Not just any honey will do, though: it must be “manuka” honey, which is made from bee-pollinated manuka bushes that grow in Australia and New Zealand. In one study of more than 2,000 people, manuka honey helped to reduce the inflammation around a wound. Scarring of the skin was also dramatically reduced. Most insect bites and bee stings cause a burning or tingling sensation. For a bite or sting that isn’t serious, the main goal is to ease the pain and discomfort. The first order of business is to soothe the affected area with an ice cube or a cold washcloth. This can reduce swelling and pain. Various essential oils are excellent natural remedies for bites and stings. Peppermint oil creates a cooling sensation on the skin, which can soothe stinging and itching. One study found that it also reduces the risk of infection. 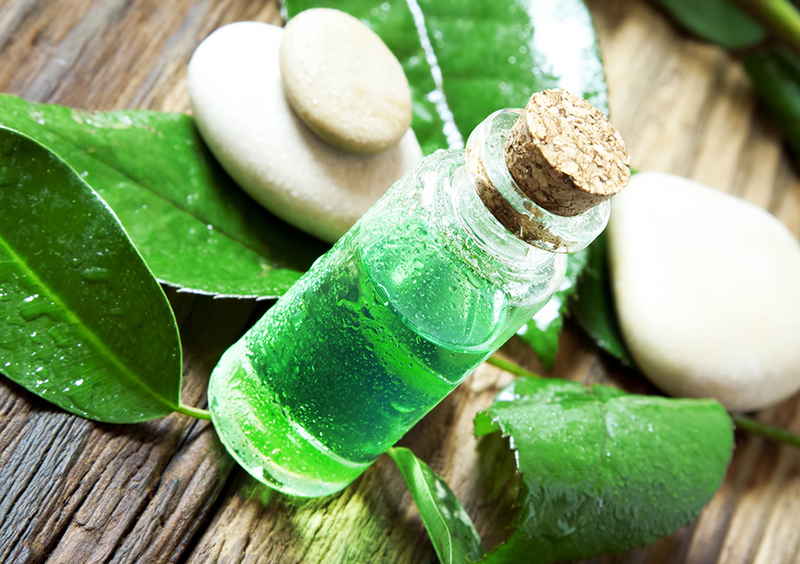 Tea tree oil prevents bacteria from growing in a bug bite, which can also reduce the risk of it becoming infected. One study also showed that tea tree oil acts as a natural antihistamine, which means it also reduces swelling. Other oils that relieve pain and reduce itchiness include lavender oil and lemongrass oil. Both of these oils also have antibacterial properties, which help prevent infection. If you’re looking for a remedy that’s readily available in your home, try making a paste of one part baking soda to three parts water and applying it to the bite or sting. This can ease pain, redness and itching. Witch hazel is a soothing liquid that is distilled from the leaves and bark of the witch hazel shrub. Used for centuries, witch hazel alleviates the swelling from a bite or sting, and it can also reduce bleeding. Remember, though, if itching or swelling after a bite or sting becomes particularly bothersome – despite trying any of these remedies – consider talking to your healthcare practitioner. Poison ivy has a sticky resin on its leaves called “urushiol”. If you come in contact with the substance, a blistery red rash will develop very quickly (within minutes or hours), which can last for two to four weeks. If you have been exposed to poison ivy, wash the area immediately with soap and cold (not warm or hot) water. Hot water tends to open the pores, increasing the chances of the resin being deeply absorbed into your skin. This can reduce your chances of getting a rash, or at least reduce its severity. If soap isn’t available, vinegar (two tablespoons in one cup of water) can be used to clean the area. To relieve itching once the rash develops, a soothing lotion that contains aloe vera can be applied to the affected area. Cool baths can also help. Cucumber has natural anti-inflammatory properties and it can reduce the heat and itch from poison ivy. Wash and slice a cucumber, and apply the slices to the affect area. Lemon juice, a natural astringent, is effective in helping dissolve the oil from the sap of the poison ivy. Squeeze the juice directly on the affect area, or soak a clean cloth in the juice and gently wipe it on the rash. Oatmeal contains many natural ingredients that soothe the skin. Soaking in an oatmeal bath can bring great relief from the pain and itch of poison ivy. To make a bath, grind oatmeal in a blender until it’s a powder. Wrap the powder in a piece of clean cloth, suspend it under running water in the bathtub. Once the bath has filled with cool water, soak in it for about 30 minutes. Heat rash (also known as prickly heat) happens when the skin’s sweat glands are blocked and the sweat produced cannot get to the surface of the skin to evaporate. Heat rash happens most often in hot, humid conditions. It’s most common in babies, but it can also affect adults, especially people who are active, or who are ill with a high fever. If a heat rash becomes particularly itchy, apply a damp cloth or ice pack (wrapped in a towel) for no more than 20 minutes at a time. Be sure to dry the area thoroughly afterwards. Tap or pat the rash, instead of scratching it, to prevent infection. Gels, creams and ointments are not recommended for heat rash, as they can irritate the area further by clogging the pores. There are plenty of natural first aid remedies for summer’s common ailments and mishaps! Visit your local CHFA Member health food store to learn more about safe and effective natural first aid remedies.